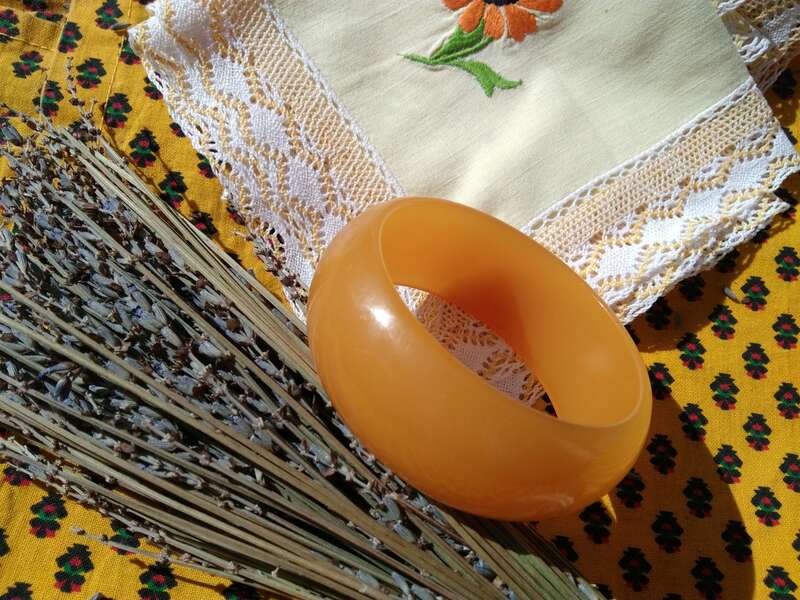 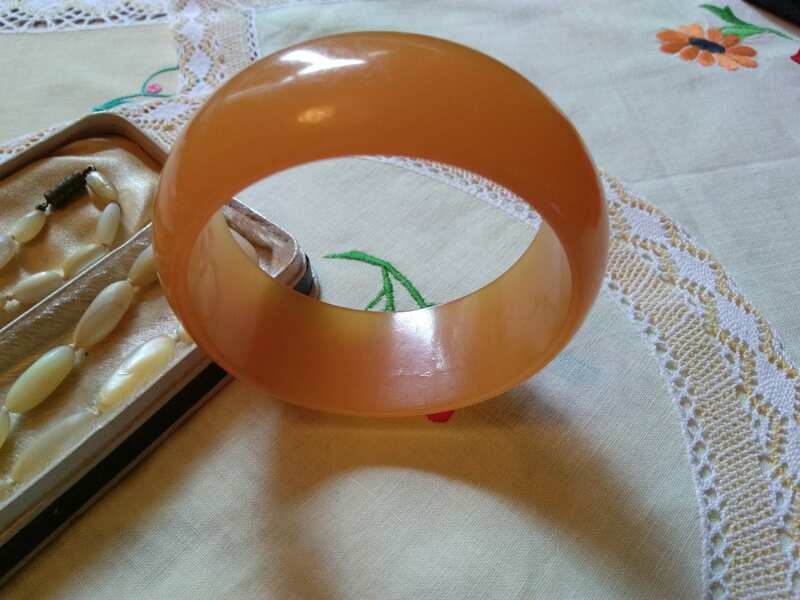 Chunky Art Deco 1940's French Bakelite bangle. 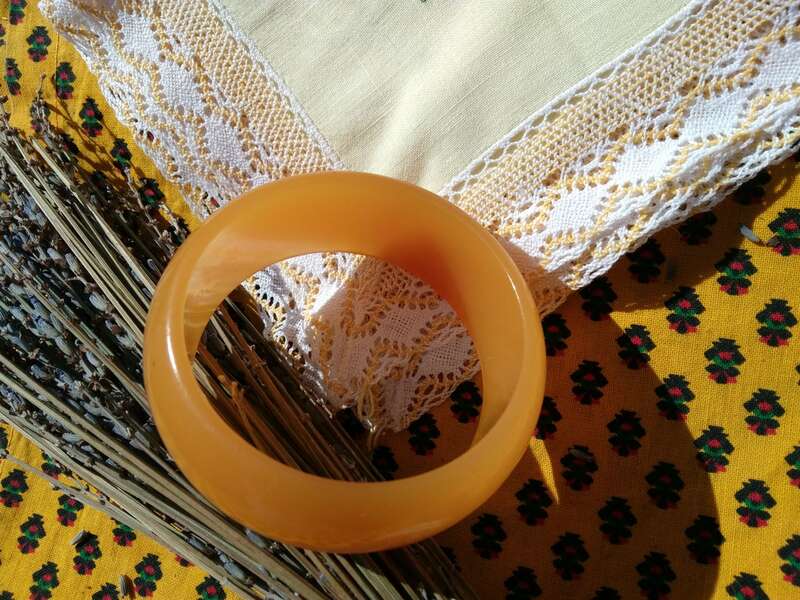 Lovely Yellow Honey color. 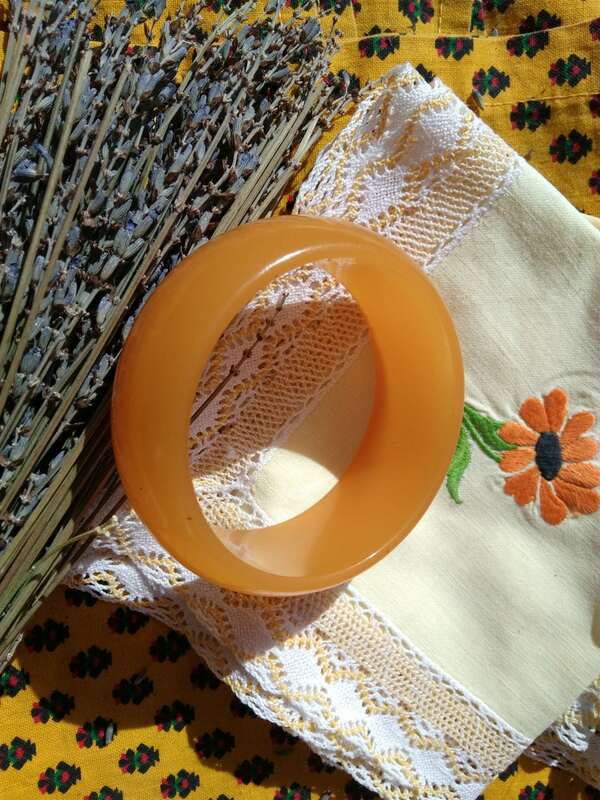 Weight : 57 g = 2.01 oz. 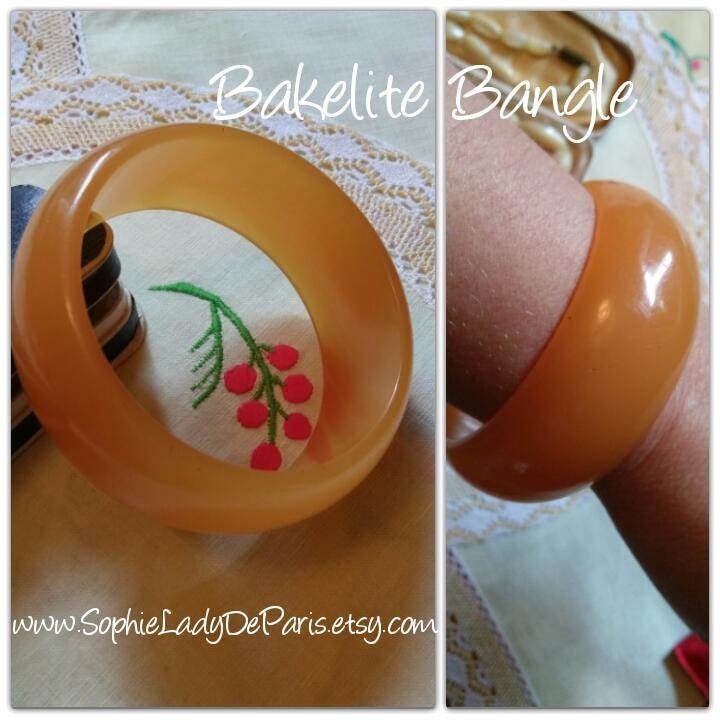 Beautiful piece to wear again!